Synopsis: The author of The O'Reilly Factor recounts one of the most dramatic stories in American History - How one gunshot changed the country forever. In the spring of 1865, the bloody saga of America's Civil War finally comes to an end after a series of increasingly harrowing battles. President Abraham Lincoln's generous terms for Robert E. Lee's surrender are devised to fulfill Lincoln's dream of healing a divided nation, with the former Confederates allowed to reintegrate into American society. But one man and his band of murderous accomplices, perhaps reaching into the highest ranks of the U.S. government, are not appeased. In the midst of the patriotic celebrations in Washington D.C., John Wilkes Booth - charismatic ladies' ma and impenitent racist - murders Abraham Lincoln at Ford's Theatre. A furious manhunt ensues, and Booth immediately becomes the country's most wanted fugitive. Lafayette C. Baker, a smart but shifty New York detective and former Union spy, unravels the string of clues leading to Booth, while federal forces track his accomplices. The thrilling chase ends in a fiery shootout and a series of court-ordered executions - including that of the firs woman ever executed by the U.S. government, Mary Surratt. Featuring some of history's most remarkable figures, vivid detail, and page-turning action, Killing Lincoln is history that reads like a thriller. My review: I am a history buff so this book looked interesting to me. I learned a lot by reading this book. One of which was that Lincoln knew he was going to die. He had many nightmares about this causing him to have many sleepless nights. There were many things telling Lincoln not to go to that theatre that night but all were ignored. I wonder if he had listened to his instincts would he have lived a longer life. There were some dry spots in this book for me but there were also many spots that I wanted to keep reading to find out more. I enjoyed the additions of the pictures as they added a little more insight. You do not have to be a fan of Bill O'Reilly to read this book as there are no political views at all in this book. It is just the history of a horrible tragedy in America's history. All in all this book was a good read and I would suggest to it anyone even if you are not a history buff. I know I am glad I read it. I give this book 4 stars. I'm am joining the ranks of using Bloglovin since Google Reader is going away. In order to claim my blog there I have to claim my blog so I am giving a go. Thanks. My Review: After I read the first book by Holly Bush I could not wait to read this one as well. 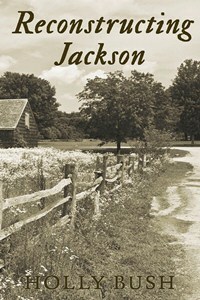 I enjoy reading books set in the 1800s and about people who had to go through the Civil War. Reed has just come home from the war as a broken man in more was than one especially in the eyes of his family. They chose to take everything from him, including his intended wife and give it all to his brother. Angered by what his family has done to him, Reed decides to move to Missouri to live with a cousin who is doing well to start his life over so to speak. Then we also have headstrong Belle who is determined to make her dreams come true. The two meet and you have to check out the book to see what happens next, I don't want to spoil anything for you. Again Holly Bush does not disappoint us with her vivid descriptions to transport us back to another time and place. Holly has a knack for making us feel as if we are a part of the story. Although some parts of the book may be hard for some to read - this is the way things were at that time period. This was another good book to read if you are a fan of Historical Fiction and want a true glimpse into the way it really was then. I received this book in exchange for a fair and honest review. My Review: This is a new author to me and I was looking forward to reading this book as I am a fan of historical fiction book. I think Holly did a good job of creating some strong characters in this book. Another thing I enjoyed about this book was that they author took the time to be very descriptive so you felt like you were right there in Spencer with the characters. 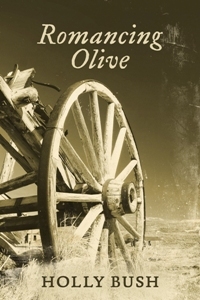 Olive was a strong woman to go to an unknown place to find and raise her niece and nephew, then to find love in this unexpected place was also new to her. I thought it was fun to "watch" Olive transform from a well to do lady who was used to having a maid and cook to a woman who had to do things for herself as she had no help now. She had to learn to survive on her own so to speak. This was a very good book to me and I was glad I got the chance to read it. It did not disappoint. If you are looking for a nice Western with some romance mixed in then this is the book for you. When a flinty lawyer with a bad-boy addiction meets the quintessential nice guy, sparks fly that fulfill their desires of life and love. Working over the holidays on a messy bank takeover is made worse for two federal specialists by an ill-advised kiss that will never happen again...right? My Review: I enjoyed reading these three short stories. 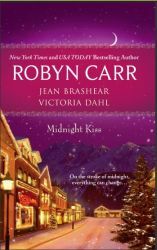 The first one by Robyn Carr left me wanting to know more about Sunny and Drew and I hope to see them in the next Virgin River book. The second story by Jean Brashear was also a good story. It is the first thing I have read by this author and I would like to try a full book by her. I was not sure about this story when it first started out but ended up enjoying it. This story also left me wondering what happened next with the couple. The third story by Victoria Dahl was again a nice story. This too was the first thing I have read by this author. The story was a little more steamy than the other too. I liked that it was set in Omaha and the backdrop to the romance was kind of interesting. Out of all three stories I thought this one was the most complete with a beginning, middle and end and did not leave me wondering what happened next. Overall I enjoyed this quick read. I am glad I read this. I give it 4 stars. Synopsis: Kariss meets Dr. Amy Garrett, who survived a brutal childhood attack in which the assailant was never found. Now Dr. Garrett wants her story written in a novel. Kariss wishes she could seek the advice of Special Agent Tigo Harris, but she broke off the relationship a few months prior and seeing him again would be too painful. She interviews Amy and conducts her own research, stepping unaware into a viper's pit of danger. Tigo misses Kariss and wants her back, but he understands why she broke off their relationship. Instead, he concentrates on solving a car bombing and bringing the killer to justice. As Kariss's new story attracts an onslaught of danger that she never expected, can Tigo save the woman he loves and find who wants her dead for writing about an unsolved cold-case? My review: I was excited to be a part of a group that got to read this book. I had not read the first book yet as I did not realize that this was part of a series, but that is ok. I now have the first book and plan on going back and reading it as I enjoyed this book so much that I want to read more. I also have to say this is my first book I have read by Diann and I have enjoyed it and hope to read more by her in the near future. This is Dr. Amy's story of her childhood attack which DiAnn does a very good job of telling without being too graphic. While trying to write the story of this unsolved cold-case Kariss puts herself into danger. I found myself getting angry with Kariss putting herself in danger when she need not. I kept trying to yell at her in my mind to listen up and be careful, but all of this added to the excitement of the book. I also liked the bit of romance and how Tigo wanted to protect Kariss. Another thing that I enjoyed is that this book was based on a real-life cold case. I like how the author took a real life case and made it into something intriguing and for the whole world to read about. Survivor is full of strong characters like Kariss and Amy. This book will not disappoint those looking for a book that will grab you from page one and not let go until the very end. It is full of adventure with a little romance. I did not want to put the book down and look forward to more books like this. I received this book in exchange for a fair and honest review. Synposis: Embark on a seafaring adventure in a brand-new series from bestselling author MaryLu Tyndall. After witnessing the death and destruction caused by the Civil War, Colonel Blake Wallace is eager to leave his once precious Southern homeland for the pristine shores of Brazil and the prospect of a new Utopian community. Widow Eliza Crawford seeks passage on Wallace’s ship harboring a dirty secret—and a blossoming hope for a fresh start. But will dangers from the sea and from man keep them from the peace and love they long for? My review: Let's set sail on a journey together to a vast new land and escape the harsh war ridden country that we currently live in. Climb aboard the ship with Colonel Blake Wallace and his crew to see where the sea is going to take us. Are you up for it? I was and I am glad I set sail. Ahoy Matey! I loved this book and have nothing but good things to say about it. What a fun and safe way to go on a journey to a new and foreign land than through an exciting new book by MaryLu Tyndall. 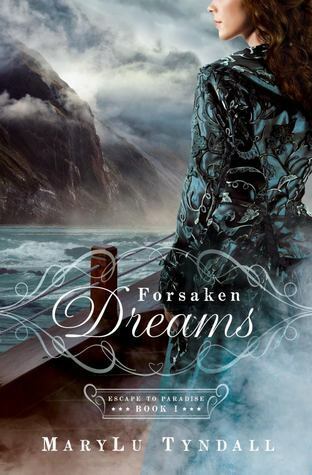 Forsaken Dreams dealt with some real life issues like anxiety, post traumatic stress among others - this is just one of the things that made this book come to life for me. I felt as if I was right there on the ship with the rest of the passengers. We have the captain who was an officer in the war who is wanting to start life anew and forget the things he saw in the war, an Army nurse of the South named Eliza whose husband was from the North and she holds a secret that if the rest of the passengers find out what it is they may just make her walk the plank. Then there is an array of other passengers that are anyone from plantation owners to freed slaves. Such a mish mash of people to travel with and all looking for the same thing an escape to paradise. 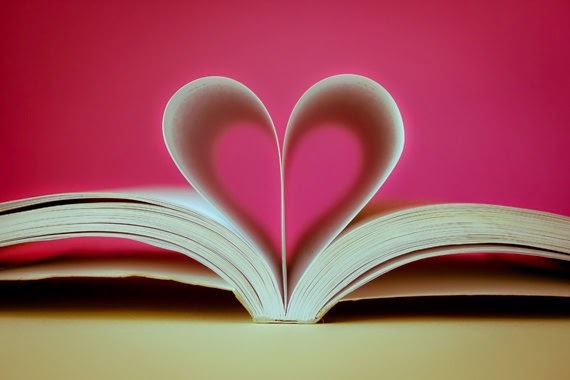 This book has everything from danger and adventure to forgiveness and romance. It is sure to not disappoint any reader who may dive into it. If you have not read any of MaryLu's books yet I suggest you start now with this one. I myself had not read any of her books yet, but I will be on the hunt for all of her books now. To me this book is a good one for all historical fiction and Christian fiction fans alike. I am going to be on pins and needles waiting for book two to come out. 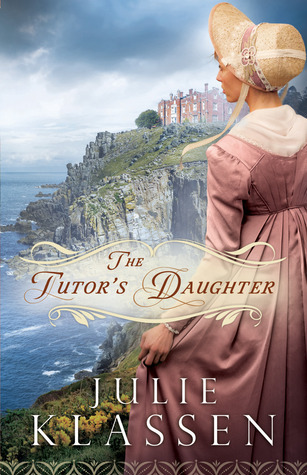 Synopsis: Emma Smallwood, determined to help her widowed father regain his spirits when his academy fails, agrees to travel with him to the distant Cornwall coast, to the cliff-top manor of a baronet and his four sons. But after they arrive and begin teaching the younger boys, mysterious things begin to happen and danger mounts. Who does Emma hear playing the pianoforte, only to find the music room empty? Who sneaks into her room at night? Who rips a page from her journal, only to return it with a chilling illustration? My review: The first thing that drew me to this book was the cover. I fell in love with it the first time I saw it and that made me want to know more about the book. Yes I do sometimes judge a book by the cover. The second thing that drew me in was the subject matter. I love books set in England and the 1800s is my favorite time period. I like the mystery that was the back drop in this book. The little things like the piano playing when the room was empty, people sneaking into Emma's room at night but there was no one there. It seemed the longer Emma was in Ebbington Manor the more mysteries Emma found including the mystery the family was hiding. Julie did a great job at fully developing each of the characters and giving each of them their unique personality. The settings of the book were also done in such a way that you could picture yourself right there with Emma in Cornwall trying to find out the secrets. I think all of the secrets helped to keep the story moving and keeps many of us readers up late as we can't put the book down - or at least that was the case for me. It is hard for me to give you too many details of the story as I don't want to give anything away. I want you to find out for yourself what happens with Emma and the other residents of the Manor. If you want to take a trip back in time and experience with Emma her move to the manor and all the mysteries then pick this book up and follow along, it is sure to not disappoint. I received this book in exchange for a fair and honest review. Review: This book jumped out at me as it is set in Nebraska for a main part of the story and I enjoy books set there as I am from Nebraska. The bonus for me is that it is a historical fiction book which is one of my favorite genres to read. Imagine the war is over and you are widowed or yet never married but there are no men to be "had" - what to do? Well you join a group of women headed to Nebraska to meet the man who you have in been in a long distance courtship with as a mail-order bride - as that is what some women had to do then - at least the women in this story. This is the story of three very different women and how they handled this. Each of the women were strong in their own way not to mention that they had to leave their homes to travel to a new state where they were strangers to find a husband. No matter how many books I have read about mail-order brides I look for more as the subject is interesting to me. The author did a good job in the making and describing of each of the character as they came to life on the pages and I felt as if I knew each of them personally. I found myself wanting to not put the book down so I could just keep the story going. I think this book is a good one to read if you would like to know how it was for some women to have to survive after the war. I received this book in exchange for a fair and honest review. 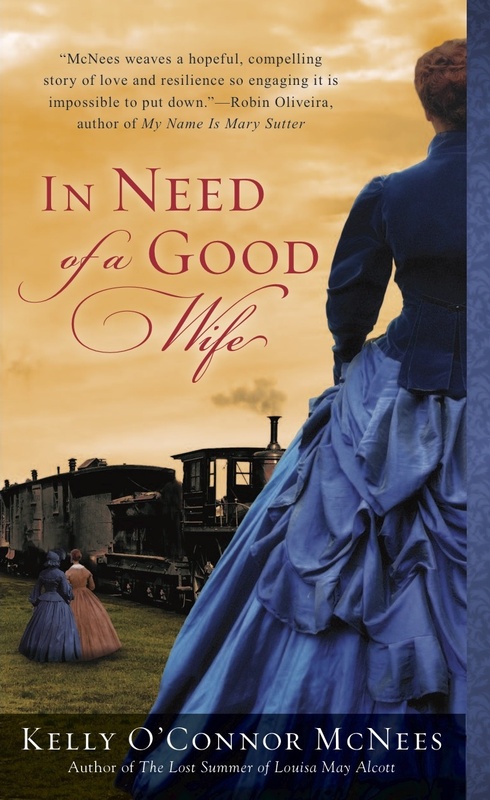 Kelly O’Connor McNees is the author of two novels, The Lost Summer of Louisa May Alcott and In Need of a Good Wife. Born and raised in Michigan, Kelly found that books made good friends. Mary Lennox, Winnie Foster, Kit Tyler, Will Stanton, and a dozen other characters were as real to her as any of the kids on her block. Later she found Jane Eyre, Nick Carraway, Alexandra Bergson, John Berry . . .
Kelly received her first rejection letter in tenth grade, from the fiction editor at Seventeen, and has been writing her way back ever since. In the meantime, she has worked as a teacher and editor, and lives with her husband and daughter in Chicago.